Nathaniel Sextus Colley, the first African American attorney in Sacramento, California, was born on November 21, 1918 in Carlowsville, Alabama. The youngest of six brothers, Colley grew up in Snow Hill, Alabama, and graduated from Tuskegee Institute in 1941. During World War II he served in the United States Army, attaining the rank of captain. 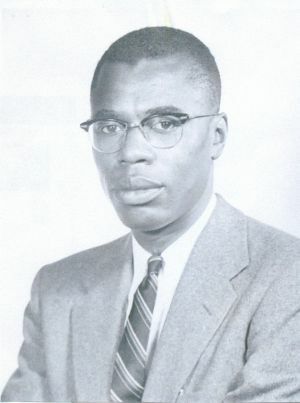 Colley enrolled at Yale Law School in 1946, where, upon his graduation with honors in 1948, he received the Benjamin Sharp Prize for the best original essay written by a third-year law student. Colley migrated to Sacramento in 1948 and, although he became a trial lawyer, civil rights issues were of equal concern to him. He chaired the legal committee of the National Association for the Advancement of Colored People (NAACP) and served as its western regional counsel. In 1952 Colley secured a ruling from the Sacramento County Superior Court that forbade segregation by the Sacramento Housing Authority. Five years later, Colley persuaded the Superior Court in Ming v. Horgan to declare that developers who received funds from the Federal Housing Administration and Veterans Administration could not engage in discrimination. In 1964, when California voters approved Proposition 14 that gave property owners the right to refuse to sell property to anyone and barred the state and any locality from adopting fair housing laws. Colley and other lawyers argued in several cases before the California Supreme Court that the initiative violated the equal protection clause of the Fourteenth Amendment. The court agreed and voided Proposition 14 in 1966. In the following year the United States Supreme Court upheld the decision. Colley also devoted time to employment and education issues. He was a co-chair of the California Committee for Fair Employment Practices, and he helped secure the passage of the state Fair Employment Practices Act in 1959, an act that prohibited discrimination in the workplace. One year later Governor Edmund G. “Pat” Brown appointed Colley to the California State Board of Education, making Colley the first African American on the board. Colley denounced the neglect of black history in textbooks and persuaded publishers to give adequate descriptions of the vital role of African Americans in United States history. He also drafted regulations adopted by the board that provided for the elimination of segregation in several school districts. In the 1960s Colley served on the California State Democratic Central Committee. Colley’s influence also extended to the nation’s capital when, in 1962, President John F. Kennedy appointed him to the Committee on Discrimination in the U.S. Armed Forces. Colley toured army installations throughout the world and reported to Kennedy on racial discrimination. Starting in the late 1960s, Colley taught part time at the McGeorge School of Law at the University of the Pacific in Sacramento. Among his colleagues was Professor Anthony M. Kennedy, with whom Colley was close friends in the 1970s and 1980s. In 1987 President Ronald Reagan nominated Kennedy to the United States Supreme Court, and Colley testified in support of Kennedy at confirmation hearings held by the Senate Judiciary Committee. The Senate approved Kennedy’s nomination the following year. Later, however, Colley regretted his endorsement when Kennedy adopted a very conservative view of civil rights. Colley criticized Kennedy’s decisions in several cases that made it harder for racial minorities to challenge discriminatory employment practices. On May 20, 1992 Nathaniel Colley died at his home in Elk Grove, California. He was survived by his wife, a son, and four daughters. “Testimonial Dinner in Honor of Nathaniel S. Colley,” Sacramento, January 13, 1968, box 29, folder 2, Loren Miller Papers, Huntington Library, San Marino, California; Bruce Lambert, “Nathaniel S. Colley, 74, Lawyer Who was a Leader in N.A.A.C.P.,” New York Times, May 25, 1992; “Nathaniel Colley Sr.; Lawyer, NAACP Activist,” Los Angeles Times, May 25, 1992; Center for Sacramento History, Guide to the Nathaniel S. and Jerlean J. Papers, c. 1941-1992 (Sacramento: Center for Sacramento History); Mark Brilliant, The Color of America Has Changed: How Racial Diversity Shaped Civil Rights Reform in California, 1941-1978 (New York: Oxford University Press, 2010). Library, San Marino, California; Bruce Lambert, “Nathaniel S.
(New York: Oxford University Press, 2010).